I am a member of the Collective Bias® Social Fabric® Community. I have been compensated as part of a social shopper insights study for Collective Bias and their client. There's no doubt that I love using Instagram. It's easy to use and share photos, and I can save memories shot on my phone all in one place. I've seen a lot of fun projects ideas using your own Instagram images, and wondered how to print Instagram photos from your phone easily and not costing too much to create something of my own. Unfortunately, with everything being online, I haven't been very good about keeping up with printing any of my photos or scrapbooking. 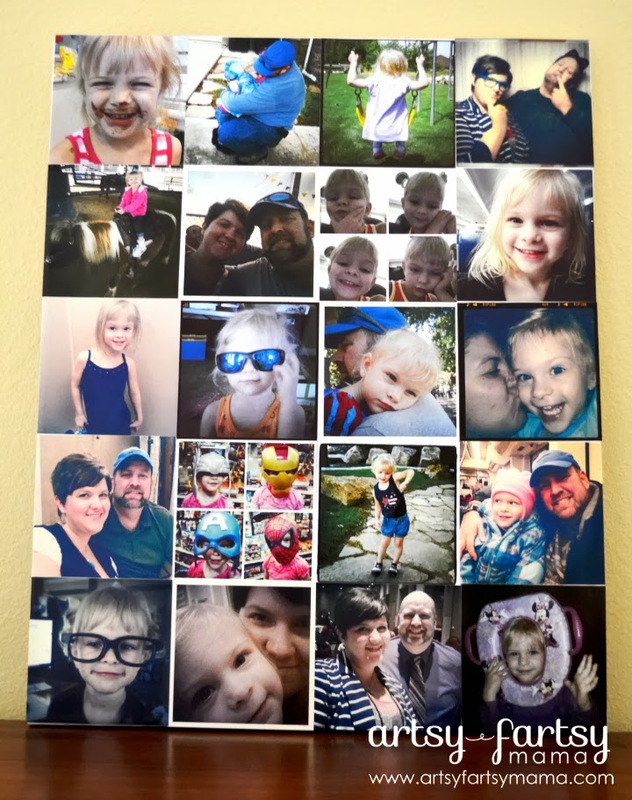 My biggest excuse for not printing is that it's expensive and time consuming, but with the Walgreens Mobile App, it makes printing your Instagram photos a breeze and really inexpensive! 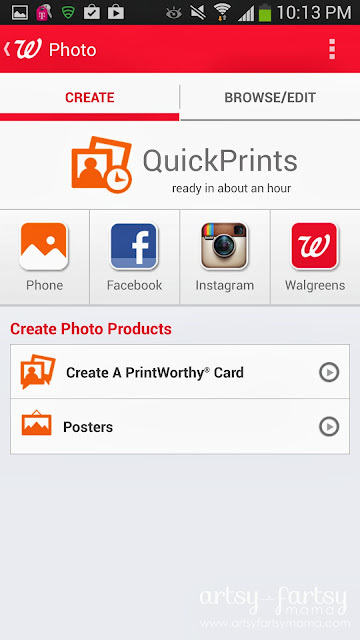 The app very user-friendly, and your prints are ready in about an hour! 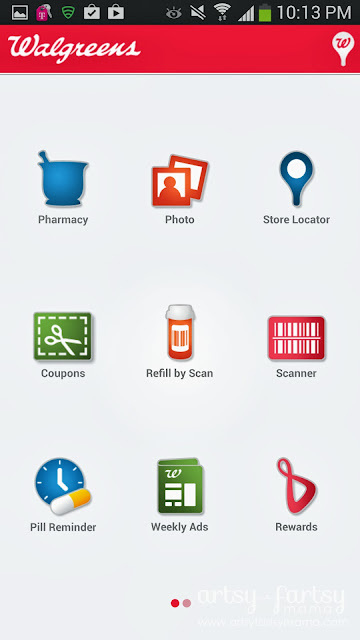 The Walgreens App is simple to use. It's free, and available on both iPhone and Android. The app makes it easier than ever to print your photos from Instagram, straight from your Instagram album! 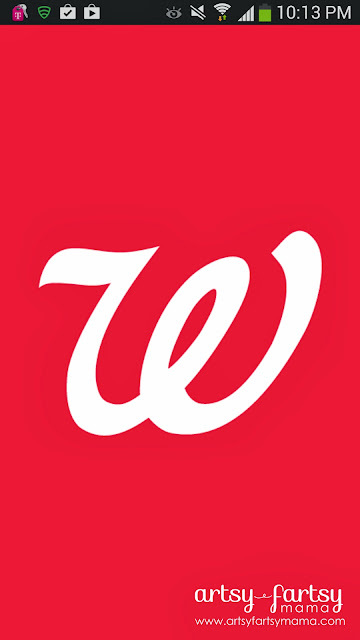 To get started, open the Walgreens Mobile App. 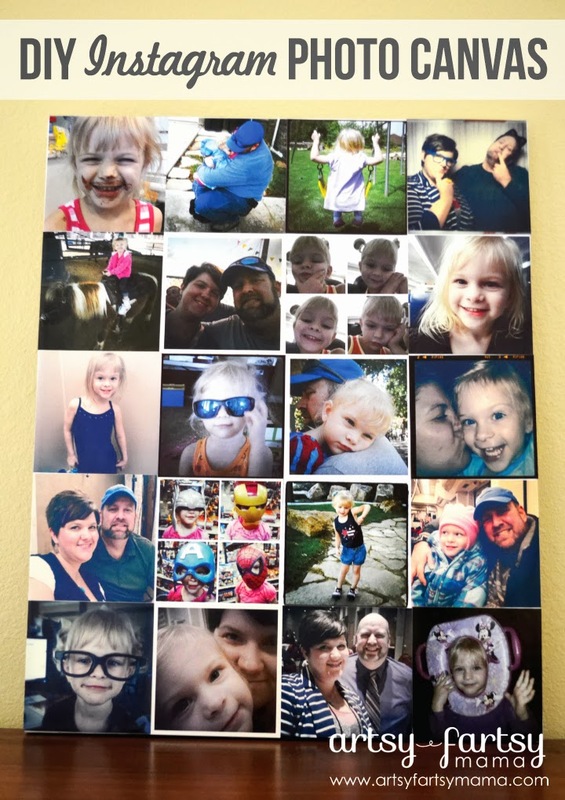 Select "Photo" (center top) to start choosing what photos you want to print. Now, you can choose to load photos from your phone, Facebook, or Instagram. Login through Instagram and it will bring up all your photos in your Instagram account. Simply tap on each photo you want printed (you'll see a red checkmark on each one you select), and hit print to finish placing your order. You can print photos 4x4" or 8x8". Choose which store location you want to print your photos, and they are ready in about an hour! 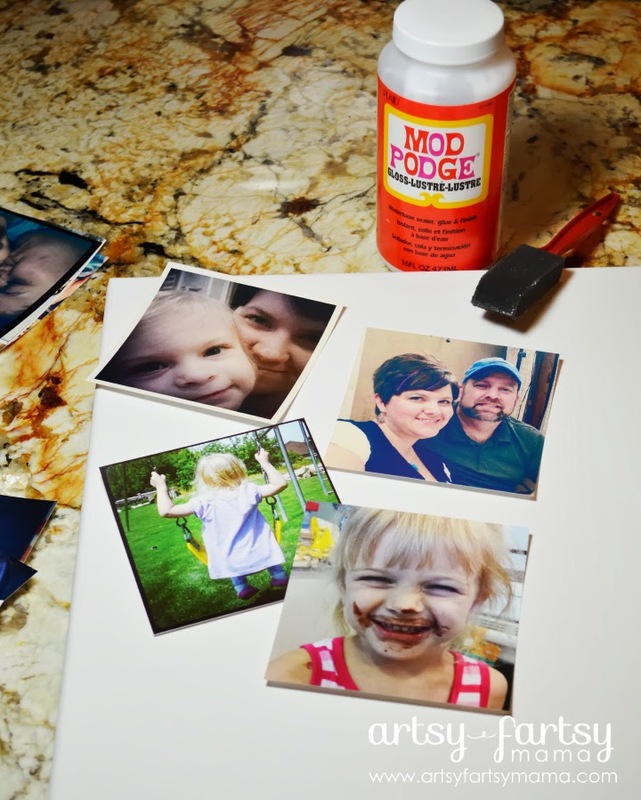 It's so simple and quick to print photos from your phone! With my prints, I decided to make an Instagram photo collage on a canvas to hang on my gallery wall. My canvas measures 16x20"and fits 20 4x4" prints. This is an easy project with a big impact. It was fun going through my older Instagram photos to decide which ones to print. With your photos already printed, the hard work is already done for you. Otherwise, you'd be cutting paper prints or trimming photos to size. 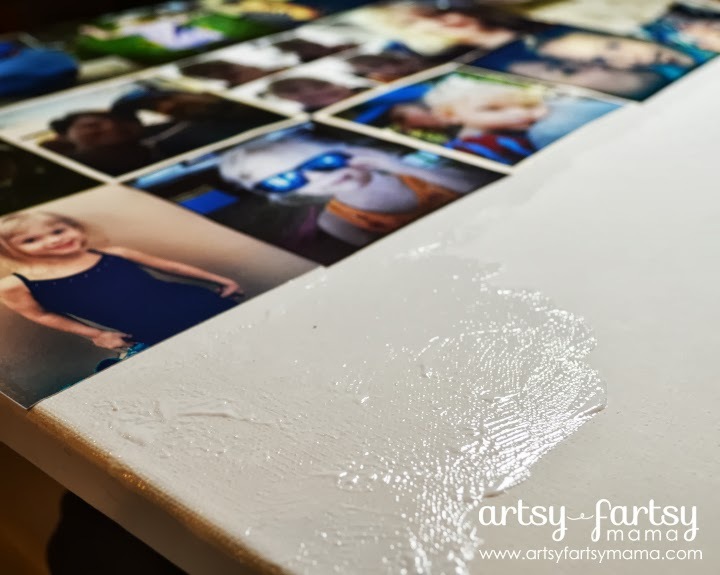 Paint a small amount of Mod Podge in the corner of the canvas. Place photos on the canvas, one at a time starting in the corner. Take your time to make sure the photos are aligned and the edges are pressed down. 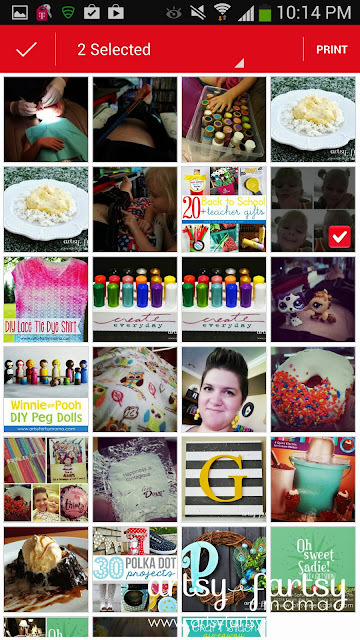 If an image pops up, you can add a little more Mod Podge to the corner and press it down. Keep adding photos until the canvas is filled. Let dry, then add another thin layer of Mod Podge on top. Let dry, hang up, and enjoy your new personalized piece of artwork! Thanks, Walgreens, for giving me the chance to relive those memories!! Visit Walgreens on Twitter and Facebook, and check out the Walgreens Mobile App board on Pinterest for more craft ideas using Instagram photos! Great post, I love Instagram so I am going to have to start printing them so I can keep them forever! Awesome blog and neat idea! I blog about tips for displaying instagram photos and it is so nice seeing the displays people create! This is an awesome display and I hope it inspires others to print their instagram photos! Thank you for sharing. I just used Snapstagram, which is another instagram print service that is super quick. Unlike most, you don’t have to upload any photos.